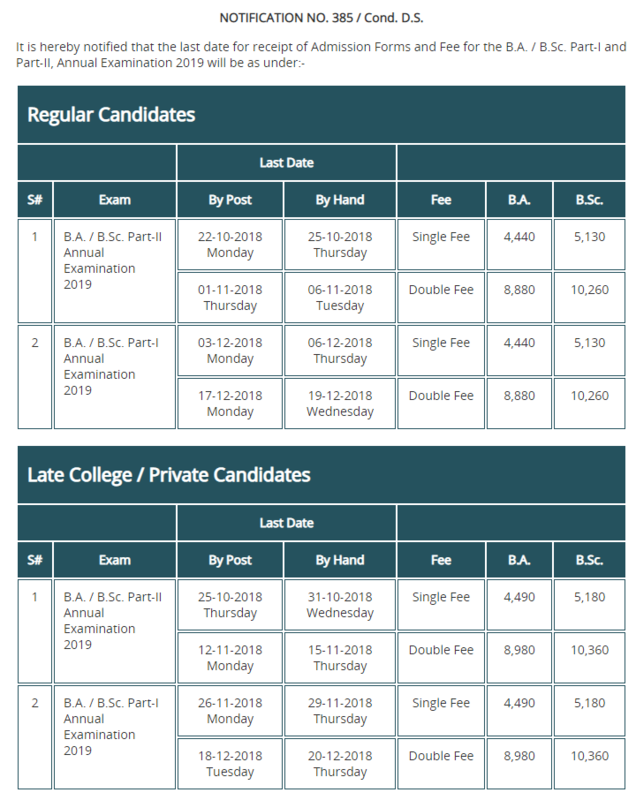 PU BA Admission 2019 Last Date To Apply. All aspirant may apply by post & hand for this BA part 1 Examination 2019 during the period 3-6 December 2018. 1. The B.A./B.Sc. Part-I and Part-II Annual Examinations 2019 will be commenced from First week of April 2019 In-Sha-Allah. 2. The candidates eligible to appear in both parts will submit their Admission Forms and Fee separately as per above schedule. 3. Candidates having compartment in Part-I examination are eligible to appear in Part-II examination. Such candidates will submit their Admission Forms and Fee for Part-II separately.